An officer in the U.S. Navy is not guaranteed a promotion. However, a junior officer has to really work to not advance to the ranks of Lieutenant (O-3). Criminal actions such as driving while intoxicated (DWI), fraternization, sexual harassment, or well-documented poor leadership are some of the typical reasons why young junior officers would not make O-3. The Navy promotes officers based on vacancies in the advanced officer ranks, so there are no automatic promotions. Some officer communities are larger than others and offer a wider range of advanced positions past the 20-year mark (O-6 and above). Some communities like SEAL, Diver, and Navy EOD are smaller communities with very limited billets in the O-7 and above ranks. However, there are some things you can do — some obvious, some not — to improve your chances of getting promoted when you're serving as a U.S. Naval officer. Limited Duty Officer Line: Includes Surface, Submarine, Aviation, Information Dominance Corp, SEAL, General and Explosive Ordnance Disposal Series LDOs. Limited Duty Officer Staff: Includes Supply and Civil Engineer Corps LDOs. Chief Warrant Officer: All CWOs compete for the same Navy promotion opportunities. According to the Navy, this practice means that officers who are in very diverse fields — air traffic control and nuclear power, for example — are competing for the same promotions. The selection board is tasked with choosing the "best and most fully qualified" from all promotion candidates. The board does consider both the skills of the applicant and the service's particular needs, according to the Navy. The vast majority of Navy officers earn at least one or two promotions. However, once you are promoted to a higher rank, getting promoted further becomes more difficult. 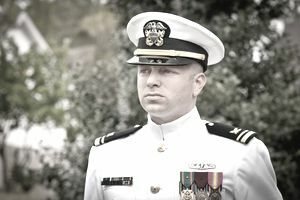 Getting approved to become a commanding officer of a ship, submarine, air wing, SEAL Team, or other unit is a near-guaranteed way to make O-5 and perhaps O-6. However, running a ship aground or having a scandal within your unit can be cause for dismissal and you will likely never be advanced again. Getting accepted for a major command is also another way to ensure O-6, and perhaps O-7 advancement should the officer have a stellar record of performance at that level. U.S. law governs how many officers in the grades Chief Warrant Officer 5, Lieutenant Commander, Commander and Captain that the Navy can have at any given time. Therefore, promotions to these grades are directly related to vacancies, and not to qualifications. However, these vacancies are typically few each year, and the selection process requires a board of senior officers to select the most qualified applicant to be advanced to the next rank and perform at that command level. The Navy advises discussing your career and your hopes for promotion with your commanding officer and with other officers, including senior LDOs and CWOs. That can help you get an idea of what you need to do to earn a promotion.